As next-generation sequencing (NGS) transforms biomedical research, industrial and academic scientists continue to improve the efficiency of their sample-preparation and data-filtering techniques. One of the main challenges is that of target enrichment: the selective sequencing of genomic or transcriptomic regions. The polymerase chain reaction (PCR) can be considered the original target-enrichment technique and continues to be useful in contexts such as genome finishing. Cliff Han, Ph.D., computational finishing team leader at the Joint Genome Institute in the Los Alamo National Lab, and colleagues are working on advancing the use of sequencing technologies with microbial genomes. Dr. Han’s group focuses on PCR-based target enrichment. The unique-sequence gaps were targeted for PCR with 40-nucleotide primers complementary to sequences adjacent to the gaps. Unfortunately, this strategy did not yield the several-hundred-fold enrichment expected based on previously published work. “We got a maximum of 70-fold enrichment and generally in the dozens of fold of enrichment,” noted Dr. Han. Dr. Han was one of a number of scientists who made presentations regarding target enrichment at the “Sequencing, Finishing, and Analysis in the Future” (SFAF) conference in Santa Fe, which was co-sponsored by the Los Alamos National Laboratory and DOE Joint Genome Institute. According to Dr. Han, for the repetitive regions, PCR primers are based on conserved sections of the genes for 16S and 23S ribosomal RNA, which appear in many locations of bacterial genomes. This work, while promising, will remain unpublished for now, as the Joint Genome Institute has shifted its resources to other projects. As target-enrichment strategies go, PCR-based methods have both advantages and disadvantages relative to hybridization-based methods, in which “bait” sequences are used to capture the targets of interest from genomic libraries. Given these considerations, the choice of method depends on a given project’s specific questions and equipment. 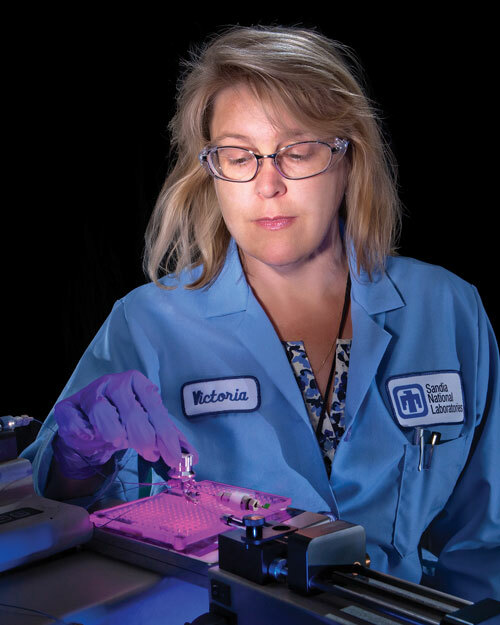 “If you’re just thinking about them roughly, the high-throughput sequencers like the Illumina HiSeq system or Life Technologies SOLiD 5500 system, have tremendous capacity and can target very large capture sizes, so hybridization can be a good fit,” said Dr. Jones. At the SFAF conference Dr. Jones focused on going beyond basic target enrichment and described new tools for more efficient NGS research. She discussed Agilent’s recently acquired HaloPlex technology, a hybrid system that includes both a hybridization step and a PCR step. Because no library preparation is required, sequencing results can be obtained in about six hours, making it suitable for clinical uses. However, the hybridization step allows capture of targets of up to 5 megabases—longer than purely PCR-based methods can deliver. The Agilent talk also provided details on the applications of SureSelect, the company’s hybridization technology, to Methyl-Seq and RNA-Seq research. With this technology, 120-mer baits hybridize to targets, then are pulled down with streptavidin-coated magnetic beads. Agilent’s SureSelectXT Human MethylSeq includes baits for capturing the 84 megabases of the genome, including 3.7 million CpGs, that are thought to be most important in determining a cell’s methylation state. One of the basic clinical challenges in target enrichment is sequencing pathogen DNA amid an excess of host DNA. This was the topic of a presentation by Todd Lane, Ph.D., a research scientist in the systems biology department of Sandia National Laboratories. For background, Dr. Lane reviewed how host DNA or cDNA is commonly suppressed in mixed samples. The ssDNA will be enriched for rare sequences such as those from the pathogen. This ssDNA can then be separated from the dsDNA with hydroxyapatite chromatography, which has different affinities for the two. “What our technology has accomplished is the automation of these methods,” Dr. Lane summarized. Sandia’s new microfluidics platform and bioinformatic analysis of NGS data constitute a Rapid Threat Organism Recognition (RapTOR) system that will “greatly accelerate identification and characterization of novel pathogens,” according to Dr. Lane. RapTOR is another example of an approach that meshes well with small desktop sequencers. 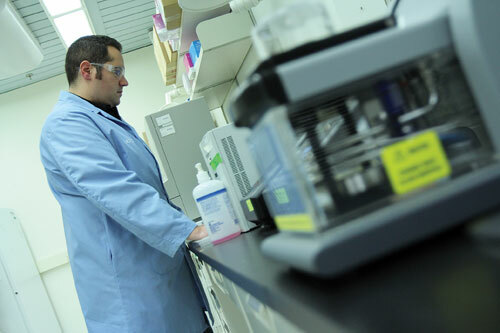 While RapTOR is not quite ready for clinical deployment, “In the next 1–2 years we would like to demonstrate the effectiveness of our technology in the clinical microbiology/virology arena,” said Dr. Lane. Brian Young, Ph.D., Daniel Bornman, and Seth Faith, all from the Battelle Memorial Institute, took on the challenge of short tandem repeat (STR) analysis from short read sequencing data. A STR, also called a simple sequence repeat (SSR) or microsatellite, is a sequence of 2 to 6 base pairs that is repeated a variable number of times, depending on the allele. Thirteen highly polymorphic STRs are used as genetic markers in the Combined DNA Index System (CODIS), a database maintained by the FBI for use in identifying crime suspects. According to Dr. Young, who serves as technical director of identity management at Battelle, there are two main challenges in using NGS data to determine STR genotypes. The sequences that contain repeats are then aligned against a custom-made reference sequence consisting only of the targeted STR loci and their flanking regions. Bow-tie alignment software performs the alignment using this reference sequence in place of a full reference genome. A major advantage of this very focused analysis of heavily filtered sequence information is that it does not require high-performance computing power. Researchers at Battelle Memorial Institute are using next-generation sequencing data to determine STR genotypes as part of the group’s identity management focus. Thirteen STRs are used as genetic markers in the FBI’s CODIS database, which is used to identify criminal suspects.